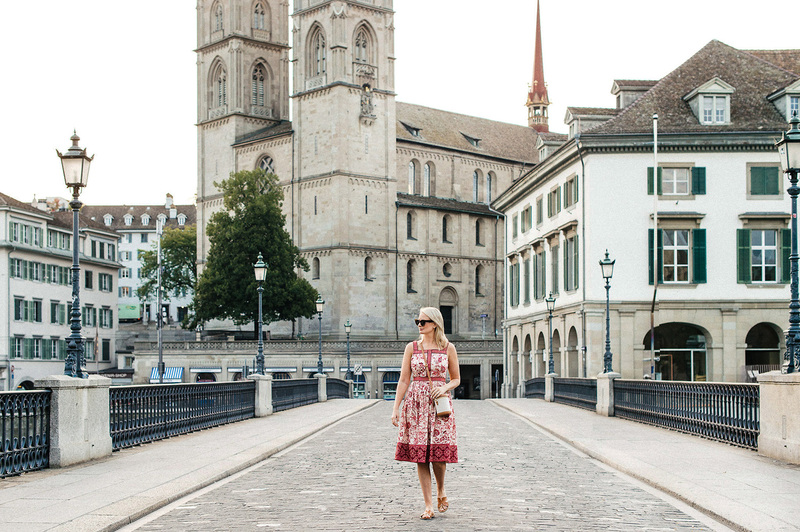 When packing for Switzerland, I knew I was mostly looking to be comfortable and casual since this was a solo trip and there was no need for any flashy pieces. With that said, do always like to look put together and I wanted to bring a couple of cute dresses I could style for daytime but also wear out to dinner at nicer restaurants! 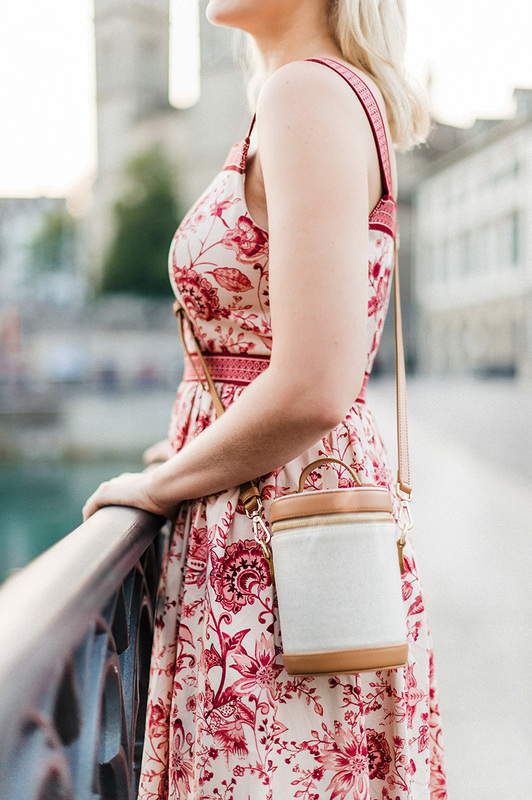 When I saw this dress on Nordstrom, I thought it was the perfect combo of casual and elegant – it’s a modest cut featuring a beautiful floral print with a medallion-print trim. 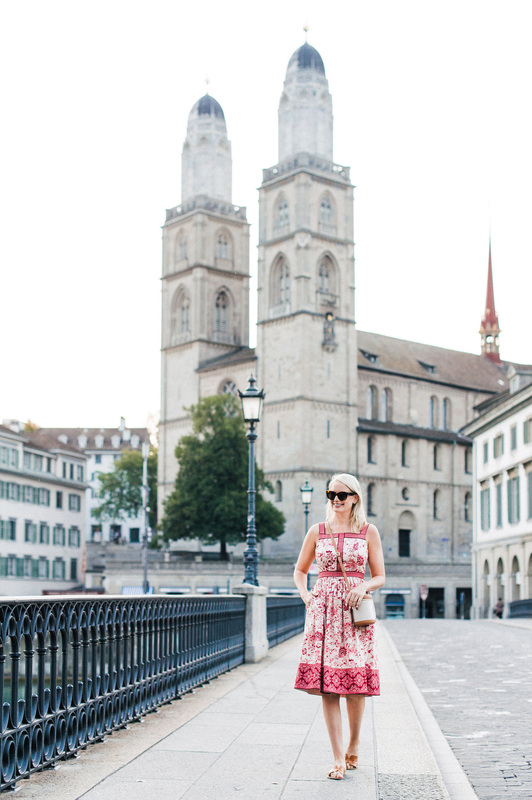 I ended up wearing this dress to dinner while I was in Zurich one night and then wore it for a full day in Annecy later in the week! Because the backdrop on the dress is more champagne than bright white (hard to tell in photos – trust me), it’s definitely a piece I’ll be able to wear into fall. As far as fit goes, I’m wearing a size 4 and it fits perfectly! I also ordered the 6, and to be honest I didn’t find that much of a difference between the two sizes – so you could probably get away with sizing down a size! The quality of the dress is great for the price (under $160!!) and it’s a very flattering fit. 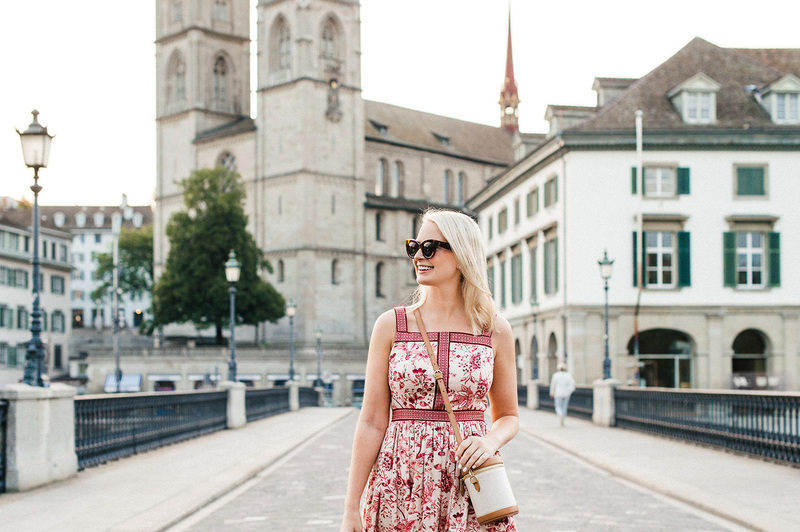 Basically everything I’m looking for in a day-to-night dress! I love how it looks paired with my new crossbody and favorite under $100 sandals this season. So cute! When the temps start to drop, I plan on throwing this suede jacket over it. I love GMG dresses! They are so gorgeous!! You look darling in this dress!